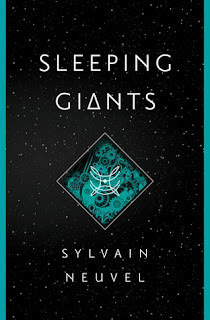 I received a copy of Sleeping Giants while waiting in a long line at Geek Girl Con last fall. I have taken my sweet time getting around to reading it but I will say that I am doing a fabulous job of trying to get through my TBR shelves. After I made the decision to read this book I flipped through it. I was a little discouraged because it seemed that the format of the whole book is in interview form, and it is the case. The author is from Quebec and the book definitely has the feel of a “foreign” author in that it is a welcome breath of fresh air. I love French movies so much because they stray from the cookie-cutter way ALL of the movies in the US are; we get new ideas, new presentations, new problems and solutions, and new actors. 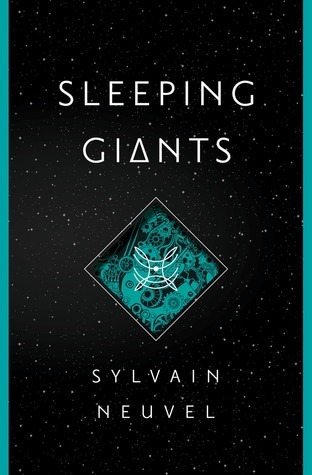 I don’t think an author from the US could have done as good of a job as Neuvel did on Sleeping Giants. By reading it like an interview, we know things we normally wouldn’t and at the same time we don’t know things we normally would. For example, the same person is interviewing all of the characters but we never learn who the interviewer actually is or really anything about him other than the fact that he is powerful. I thought it was really interesting to learn about things after they happened rather than as they happened too. Enough about the format, on to the book. The book is about a little girl who stumbles upon a hole in the ground that contains glowing walls and a giant hand. The little girl grows up to be a scientist and ends up working on trying to learn the secrets of the hand. Over time they find more body parts and eventually form an entire figure. They’re trying to find out who built it, how they built it, and what it’s intended purpose is, all while trying to work with and around other countries in the world. Some of the technical parts of the book were a bit slow and I read quickly over them, but overall I really enjoyed this book and it didn’t take me long at all to read it. Sleeping Giants came out on April 26th, 2016!